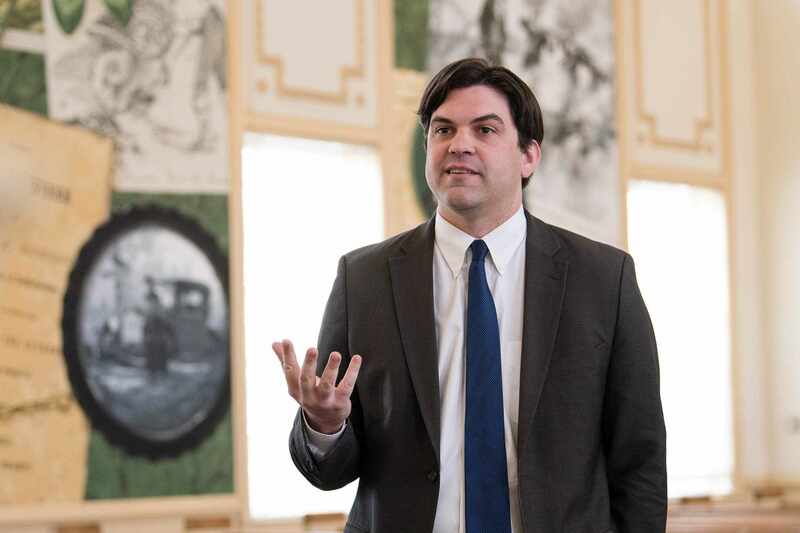 Traffic Attorney Tyler Benson joined iTicket.law in its inception, and has since become a cornerstone to the functionality of and growth of our firm. 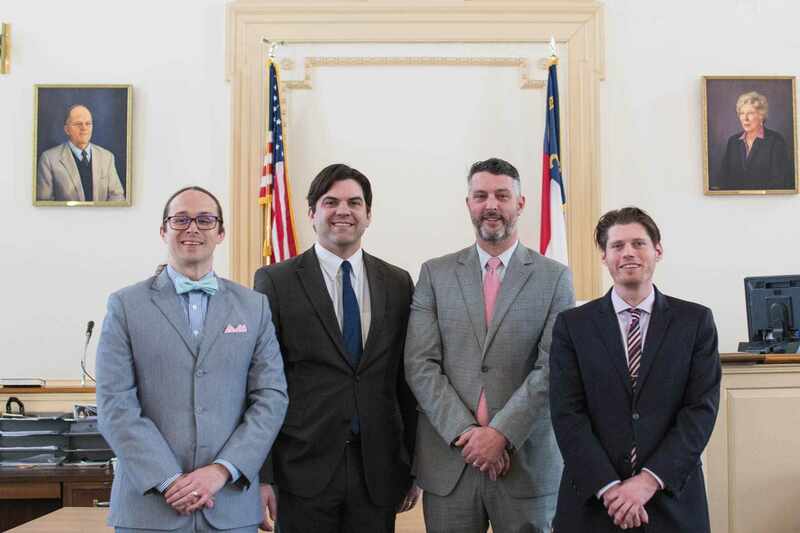 Attorney Benson has practiced traffic and criminal law in countless counties throughout North Carolina for the past nine years. 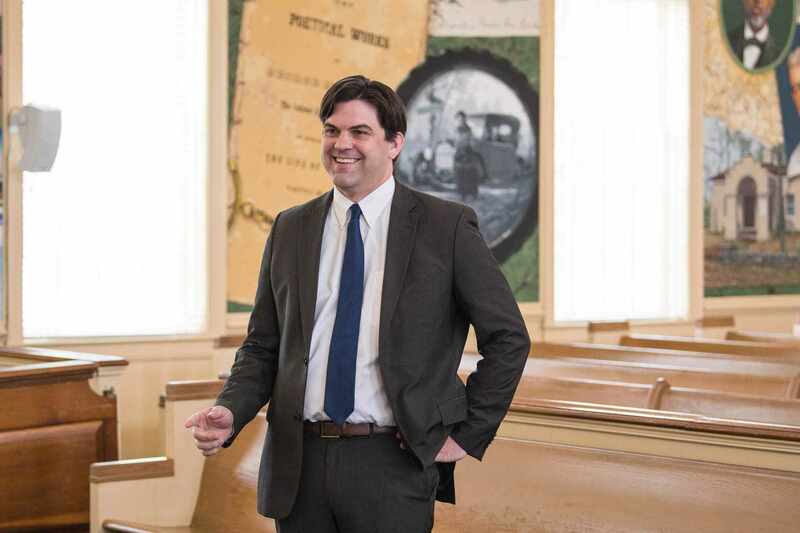 His experience in Harnett County has allowed him to forge deep connections with both the legal community and his clients. These relationships allow him an elevated and better position when addressing traffic cases. He understands the difficulty of navigating the complicated court system when you receive a citation in Harnett County. He utilizes his knowledge of the complex and diverse traffic laws and DMV regulations to seek to achieve the best possible result for clients. His primary goal with most citations is to prevent an impact on either your insurance premiums or your driver’s license through working to reduce or even dismiss citations. So why let Attorney Benson take care of it for you? If you choose to hire Attorney Benson and his team, you can save the hassle of driving to court in most cases. * In most traffic matters, Attorney Benson can appear on your behalf without you having to miss work, school, or your everyday life to drive to court. For just $99 for the average speeding ticket, Attorney Benson can seek to give you back your peace of mind. He'll take care of your case and keep you up to date every step of the way. Do not pay any speeding or traffic ticket without first consulting a traffic attorney. 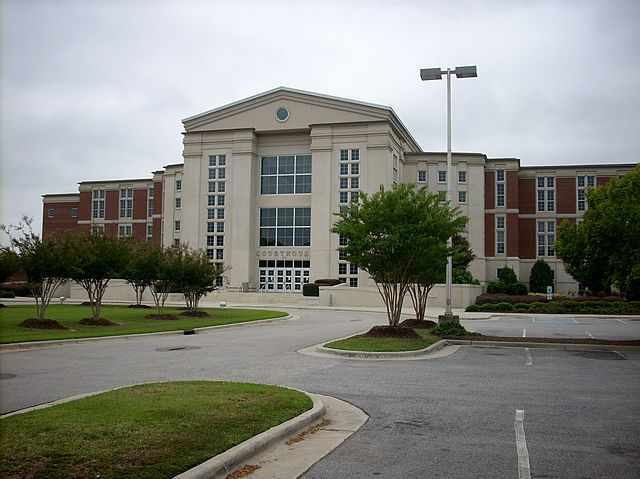 Attorney Tyler Benson has an extensive knowledge of the Harnett County Court’s policies and procedures. He would seek to utilize his diverse legal skills on your behalf in negotiating the best available reduction of your citation. Additionally, he would utilize his knowledge of the North Carolina DMV rules and how the outcome may affect your license and insurance in order to plan for the best result. Harnett Traffic Attorney Tyler Benson will seek the best possible outcome for you. Attorney Benson will fight for you. For more information on Harnett County, please visit the Harnett County Directory. The current elected District Attorney of Harnett and Lee Counties is Vernon Stewart. Most courthouse images courtesy of Gerry Dincher. The fine isn’t too high, can I just pay off my Harnett County traffic citation? When you make a payment for your traffic citation to the Harnett County Clerk of Court you are pleading guilty to the charge on your citation. Even one traffic citation can have a significant impact on your life. Traffic citations can have a snowball effect on your driving record, potentially causing your insurance premiums to increase drastically. Additionally, depending on the speed zone a conviction of speeding over 15mph over the limit can result in a suspension of your North Carolina Driver’s License. Therefore it is recommended that you consult with a seasoned Lillington Attorney who specializes in traffic matters for every traffic citation. I live outside of North Carolina, but I received a traffic ticket in Lillington, North Carolina. Will the citation affect my license and/or insurance? Possibly, depending on your state’s laws and DMV guidelines, you may be subject to increased insurance premiums and license points. A number of states (North Carolina included) have traffic laws that can cause an out of state speeding ticket to affect your license and insurance. Attorney Benson advises speaking with an attorney from your state or the DMV for information about how a ticket can affect you. Can I save money by going to Harnett County court by myself? 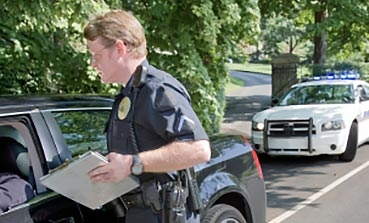 Going to court to handle a ticket can be an uphill battle for you. It isn't uncommon to spend several hours waiting in line each court appearance just to speak with an Assistant District Attorney. Traffic citations can often require multiple court appearances in order to achieve the best possible result. Hiring an attorney can save you a number of days of missed work, school, or your other family obligations. Jokingly, we like to think of ourselves sometimes like plumbers. If you have a leaking pipe at your house and are highly experienced in handling such matters, you don't need to hire a plumber. However, if you aren't sure how to handle it, but try to fix it, you could accidentally flood your house. Same concept. 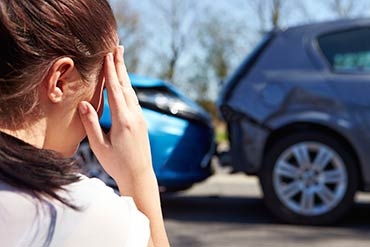 If you're not very comfortable with North Carolina Department of Motor Vehicle and Department of Insurance Laws, getting what you think is a "good" outcome could possibly skyrocket your insurance premiums. Do you want to know more about what it's like to work with iTicket.law traffic lawyers? Check out the FAQ page. How much are court costs and fines in Harnett County? Keep in mind that every traffic case is unique, and the circumstances and strategy that lead to reductions are also distinct, although the following are some common reductions and the estimated court costs and fees associated with them. An Improper Equipment comes with Court Costs and Fines of $258. A reduction in the speeding to 5/9mph over comes with Court Costs and Fines of $208. A Prayer for Judgment Continued reduction comes with court Costs and Fines of $208. A reduction in the speeding to 14mph over comes with Court Costs and Fines of $208. When (and how) are my court costs and fines due to Harnett County? In Harnett County, the Clerk of Court needs to have your payment in full within forty days following your court date. In many instances you may be able to pay your court costs online after the resolution of your case. Can attending a driving school class help my Dunn traffic case? In certain cases, attending certain drivers education classes can make you eligible for greater levels of reduction. Feel free to contact our office at (910) 354-1689 to determine whether or not a driving school might be beneficial to you. How does a traffic conviction in Harnett County, NC affect my insurance costs? Click to hire Traffic Attorney Benson in Lillington. *We cannot guarantee any outcome in your case, but we do guarantee our service. If you're unhappy, we'll refund you. Office visits are by appointment only. Some misdemeanor matters may be more than $99, require your appearance in court and could impact your insurance. See FAQs for more info.